Give me a call to discuss your specific needs. We meet at the property, you show me around and I explain the services we offer. We agree on the services we'll perform on your behalf. My team and I do all the work and you collect your money. Complete Estate Services. With no stress. Your home sold quickly. With no stress. Need more information? Access my FREE report detailing how to sell your home fast! Total Estate Services for Homes, Townhouses, Condos and Multi-Family Properties. Total Estate Services Llc can help! Don’t stress how long your property will sit on the market, or the expense of repairs are what to do with all of the items in the property. 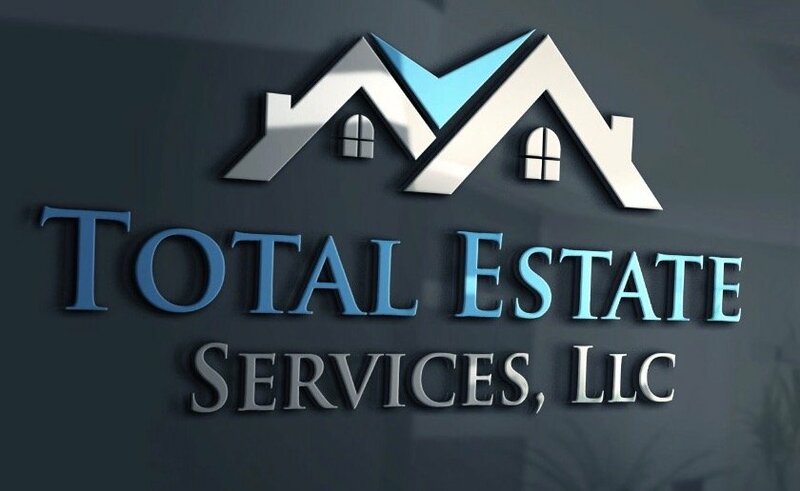 Total Estate Services Llc, handles all of the contract and agreements, auctioning the items in the property, all the repairs and upgrades needed to get top dollar. We take away all of the stress and puts money in your hands quickly. It’s important to know, that unfortunately, we don’t accept everyone as a client for the special program we offer. We will, however, consider all properties as a possibility and appreciate the opportunity to meet with you or your family and see if your home is a good match for our program. Larger remodels as well as small remodels are all considered and often accepted into our program. If you’re looking to make more money on the sale of your home and not spend one dime out of your pocket ahead of the sale to remodel it, then we’re the perfect team of professionals to make that happen. If you already have a realtor and a decorator/stager, we can work with them instead of ours. Our team, however, is well established and respected as one of the best in the entire region. We are a group that gives you quick and rewarding results, without any initial investment. There are no “smoke and mirrors” with our company. Everything in our contract describes exactly how our system works and when we get paid for providing our services. You can also expect to sell your house quicker because it looks like a model home, rather than a rusty nail. The typical complete house makeover generally takes 2-4 weeks to complete. If your house only needs certain items fixed and updated, it can often be done within 1-2 weeks. Please call us or fill out our contact form and we’d be happy to set up an on site review and estimate appointment. How much time do you have to sell your house? If you list with your real estate agent today and they have a buyer.. You’re looking at least 45 days before you close. And keep in mind that’s if your home is ready to show to potential buyers, their agents and their home inspectors. Do you have that much time? We will let you know clearly (and quickly) what we can and can’t do. If you need quick solutions, you’ve come to the right place. My team and I specialize in creating solutions to real estate problems. In the time it takes your real estate agent to return your phone call you could have a written offer from us. It starts by our team assessing the condition and current value of your property. Our team consists of the most skilled of realtors, a sought after decorator and stager, and a Class A contractor with a proven track record of remodeling homes that sell quickly and for a much better price than expected in any market. Our average time to contract after listing is less than a week. WE can help almost anyone! What’s your situation? We’ll assess your individual needs and custom-tailor a solution for you. We’ll find a solution that’s right and is sensitive to your needs. To do that, though, we need your cooperation and honest information. Foreclosure, job loss, relocation, divorce, high property taxes, death in the family or are you simply tired of being a landlord? These are some common situations you may find yourself in. Selling your house is a time of change, but it doesn’t have to be a stressful time. We’ll take the worry, the stress, and the complexity out of the process. Regardless of the age or condition of your home, We can buy it fast!